In 1872 George Wheeler met and married May Tillson in Boston. He made a home for May and her younger sister Della, first in New York, then in California. Along the way George fell in love with young Della and when she planned marry someone else he was faced with a dilemma: he could not marry her himself and he could not bear to see her wed to another. The solution he chose pleased no one. 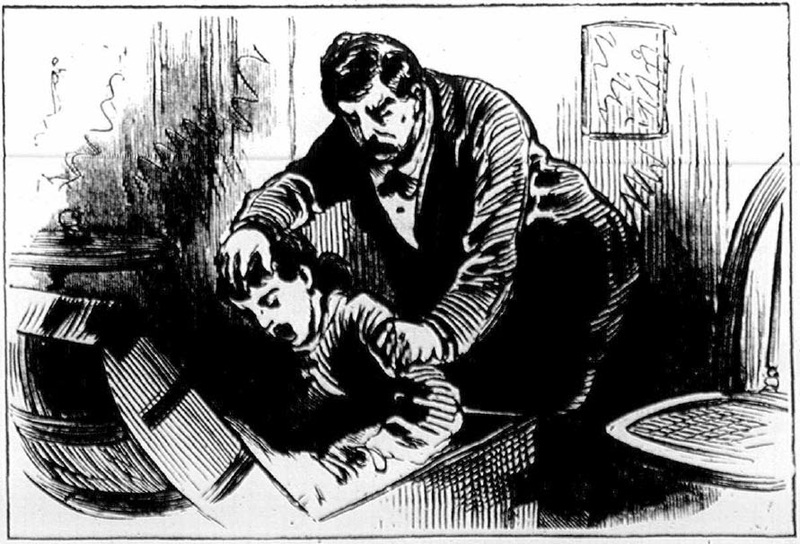 Around midnight on October 20, 1880 George A. Wheeler went to the San Francisco police station and confessed to the murder of his sister-in-law, Della Tillson. He said he had packed her body in a trunk and left it in the room they shared in a lodging house at 23 Kearney Street. He was held at the station while the police went to check his story. The police went to 23 Kearney Street and spoke with the landlady. She said Wheeler and his wife had moved into the room about a month earlier and sometime later his sister-in-law moved in across the hall. All had been quiet until a few days ago when a man named George Peckham moved into the house. He appeared to know the other three, and there was constant arguing among all the lodgers. The police learned the truth when they interviewed the woman across the hall. She was actually George Wheeler’s wife May, who told them that Wheeler and her sister had been living together, in sin, in the other room. George Peckham had come to see Della and planned to marry her, and this had upset Wheeler. But Mrs. Wheeler did not believe that her husband had murdered her sister and thought he must have been drunk when he made the confession. When the police opened the other room they saw no sign of a struggle and found the trunk Wheeler had spoken of against the wall near the door. When they opened the trunk, it appeared to be filled with clothing, but after removing several layers they found the body of a murdered woman, still warm, crammed into the trunk. May Wheeler was called into the room to see the body. Sobbing hysterically, she positively identified the body as that of her sister Della. George Peckham was equally distraught when he identified the body of his lover. When the hysteria died down, reporters interviewed Mrs. Wheeler and George Peckham and uncovered the events that led to the murder. Mrs. Wheeler, twenty-eight years of age, was born May Tillson in Shrewsbury, Massachusetts. In 1872 she married George Wheeler and they lived together in her parents’ house for a while before moving to New York, taking along May’s teenaged sister Della. relations with her sister Della, until Della became pregnant. Della confessed all, but begged her sister not to reveal her shame to their parents. Both sisters agreed that it was best to keep the matter secret. The baby died soon after birth and the situation in the Wheeler household continued as before. When Della became pregnant again, they moved to California, where the second child died as well. They settled in the town of Cisco where Wheeler got a job running an engine at a silver mine. There they met George Peckham, a miner and a gambler. He became friends with George Wheeler and became quite fond of Della Tillson. He started taking Della out and, at the time, believed he had Wheeler’s blessing. Wheeler’s job at the mine did not work out, and he decided that the family should move to San Francisco. There wasn’t enough money for all three to travel, so Wheeler took Della and promised to send for May when they could afford it. After they had been gone a month, May grew tired of waiting and went by herself to San Francisco. She knew where her husband and sister were staying, but had been surprised to learn that they were posing as husband and wife. Rather than cause trouble, May Wheeler took another room there, telling the landlady that she was George Wheeler’s sister-in-law. George Peckham had fallen in love with Della Tillson, and when he realized that she was not coming back to Cisco, he went to San Francisco as well. He hoped to marry her and take her to Sacramento. Della had been writing to Peckham, so when he got to San Francisco he knew where to find her. Peckham took a room there too, and all four were living on the same floor at No. 23 Kearney Street. Peckham was unhappy about Della and Wheeler sharing a room, but she told him they had done it to save money. She said, she slept on the sofa and he in the bed. Peckham began taking her out nights, bringing her home after midnight, and this angered Wheeler. On the day of the murder, Peckham came looking for Della and Wheeler told her she had left, taking a job as a companion to a lady and her daughter. He told Peckham she had gone where he would never find her. While May Wheeler and George Peckham were telling their stories, George Wheeler, at the police station, was telling a story of his own. He said he had been upset about Peckham following them to San Francisco and keeping his sister-in-law out late. Wheeler convinced her that it was best that she stay away from Peckham, and he and Della spoke with police officer Moorehouse, asking if she could stay with him for a while to keep her away from the bad man who was perusing her. Officer Moorehouse agreed and so did Della, but when she went back to pack her clothes she had a change of heart. Wheeler said she told him “there had been a greater intimacy between her and Peckham than I had any idea of, and that she was going away with him.” This was when he decided he would rather see Della dead than with Peckham. She seemed to feel her disgrace very keenly, and begged me to cut her throat. She did not want to go with Peckham, but such was his influence over her that she must go with him, and she would rather die than do it. Then she again asked me to cut her throat. I told her that I could not do that as I could not bear to see her blood, but I told her that I could choke her. She said very well, and sat in my lap. I place one hand on her mouth and with the other grasped her throat, and she, throwing her head back on my shoulder, died like a child. She struggled but little at first. She looked into my eyes and I kissing them, told her to close them, which she did, and thus she passed away. In inquest was held soon after, and George Wheeler was indicted for the murder of Adella Tillson. Jury selection for George Wheeler’s trial began on February 2, 1881. It was an arduous process; the case was a sensation in San Francisco, and it was difficult to find anyone who had not already made up his mind on the matter. The number of spectators was limited to the number of available seats, leaving hundreds outside, disappointed. There was no contention over who killed Della Tillson; the prosecution was straightforward. Wheeler had confessed, and all of the relevant witnesses testified as to why he did it. George Wheeler’s defense was “hereditary insanity.” The defense introduced evidence that there was insanity on both sides of Wheeler’s family. Several reporters testified to the statements made by Wheeler after his arrest. Expert witness, Dr. J. J. Kendrick, an Oakland physician, testified to various forms of murderous mania, and examined Wheeler’s bald head. He was uncertain whether a large scar on the right side of his head would cause insanity. The prosecution countered the insanity defense by reading, over defense council’s objection, from a book called Browns Medical Jurisprudence of Insanity. The jury had little patience for the insanity plea, and found Wheeler guilty. George Wheeler was sentenced to hang on April 19, but the case was appealed and the hanging postponed. The California Supreme Court agreed that the prosecution should not have been allowed to read from Browns Medical Jurisprudence of Insanity without first establishing it as a standard authority. Wheeler was granted a new trial. Wheeler’s second trial was held in September 1882. The result was the same, guilty of murder. Following the first trial, May Wheeler, after a coolly received goodbye visit to her husband in County Jail, accepted a steamship ticket from the YWCA and returned to her father’s home in Shrewsbury, Massachusetts. George Wheeler was sentenced to be hanged on January 23, 1884. His last days in prison were taken up with concerns for his soul. A lady from Oakland had urged him to become a Catholic and he had been meeting with Father Cottle to discuss conversion. As of the night before the hanging, Wheeler, who had been raised Quaker, was not feeling it. 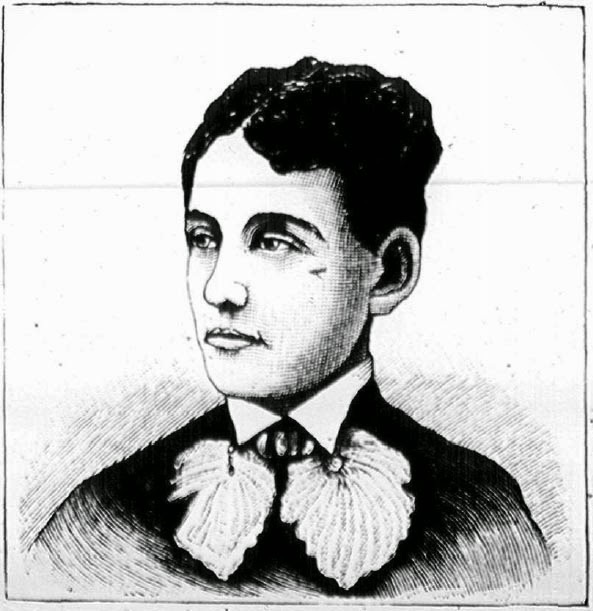 The lady from Oakland may have been Mrs. Stratton, a divorced woman who had been among the hundreds of people who visited the prisoner before the execution. She frequently visited the cell and the night before the execution Mrs. Stratton insisted on being married to Wheeler. Wheeler expressed a willingness, but the sheriff took measures to prevent the ceremony. The morning of January 23, 1884, five thousand people assembled outside the jail to witness the hanging of George Wheeler. Demand for entrance tickets was so great that they were being sold for $10.00 apiece. Father Cottle must have gotten through to Wheeler because he was at the prisoner’s side has he mounted the gallows. Wheeler’s last words were, “I forgive the world, may the world forgive me.” He kissed a crucifix and said, “Jesus, into thy hands I commend my spirit.” The signal was given, the trap was sprung, and George Wheeler fell. His neck was broken and death was instantaneous. "A Most Horrible Crime." Cincinnati Daily Gazette 23 Oct 1880. "A Singular Murder." Cincinnati Daily Gazette 22 Oct 1880. "Another Juror Obtained." San Francisco Chronicle 28 Jan 1881. 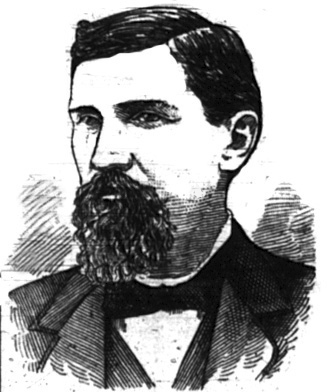 "George A. Wheeler" San Francisco Bulletin 21 Jun 1882. "George A. Wheeler's Defense." San Francisco Bulletin 4 Feb 1881. "'Thus She Passed Away.' National Police Gazette 6 Nov 1880. "The Wheeler Murder Case." San Francisco Bulletin 3 Feb 1881. 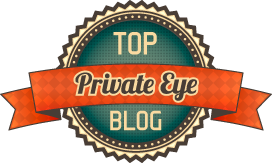 "Wheeler's Atrocious Crime." San Francisco Bulletin 22 Oct 1880.